The 2017 IUFRO All-Division 5 Conference will be held in Vancouver, BC from June 12th to 16th at the Pinnacle Hotel (downtown Vancouver). 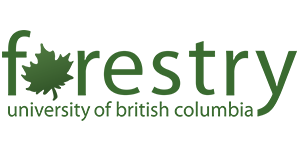 It is being jointly organized by the Faculty of Forestry at the University of British Columbia, FPInnovations, and the Society of Wood Science and Technology. Today represents 110 countries, more than 15,000 forest scientists and 700 member organizations. IUFRO’s Division 5 is dedicated to all aspects of the multitude of products that can be derived from wood and forests, from traditional products such as lumber and pulp and paper, to novel biorefinery products such as pharmaceuticals and biofuels. IUFRO Division 5 Conferences are organized every 4-5 years in different parts of the world (Capetown 1973, Oxford 1980, Madison 1983, Sao Paulo 1988, Nancy 1992, Pullman 1997, Roturua 2003, Taipei 2007, Estoril 2012). 2017 will be the first time that the conference will take place in Canada. We are expecting to draw more than 600 scientists from around the world. At the last conference in Portugal, 51 countries were represented. We anticipate very good participation from China, Japan and EU countries. The forest sector is emerging globally as a leader in sustainability, diversification, and innovation. For example, we can sequester carbon for many generations in forest products while also displacing fossil fuels via bioenergy/biofuels. The conference theme “Forest Sector Innovations for a Greener Future” reflects this visionary approach. 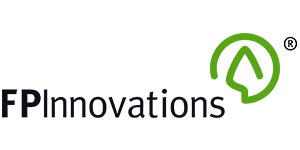 The innovation-themed plenary sessions and various networking events, will initiate discussion, from a research and from a business point-of-view, on what the future forest sector might look like. We expect this to engage members of the forest industry and government. Multiple opportunities for networking with leading scientists, industry, civil society, and government representatives from around the world. Presentations by leading international industry and government executives. Possibilities for brand development and exposure to corporate citizenship through onsite and website options: exclusive speaking opportunities, VIP reception, onsite presence, website prominence, and post-event acknowledgement. The IUFRO 2017 All-Division 5 Conference is where a meeting of minds will take place and new ideas will be generated!